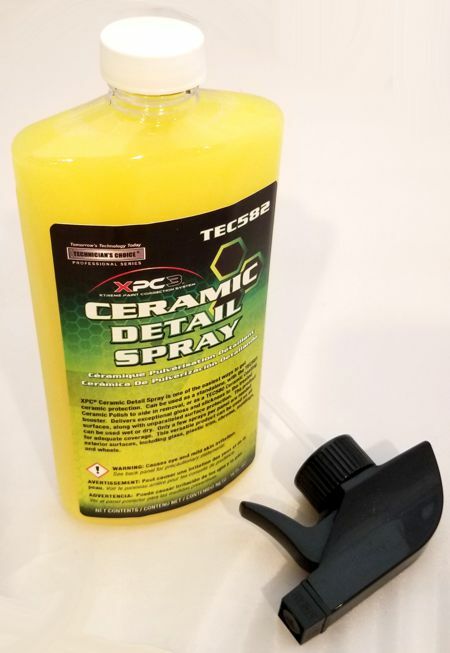 TEC582 Ceramic Detail Spray is one of the easiest ways to enjoy ceramic protection. It can be used as a standalone, as an aide to remove RejeX® High Gloss Polish or as a Ceramic Coating booster. TEC582 delivers exceptional gloss and slickness to treated surfaces along with unparalleled surface protection. Product can be used on both wet and dry vehicle surfaces. The formula is highly substantive so only a few sprays per panel is required for adequate coverage. Simply spray on and wipe off with a clean soft microfiber towel. The versatile product can be used on all exterior surfaces including glass, plastic trim, chrome, moldings and wheels.